My fascination with window displays isn’t limited to London. 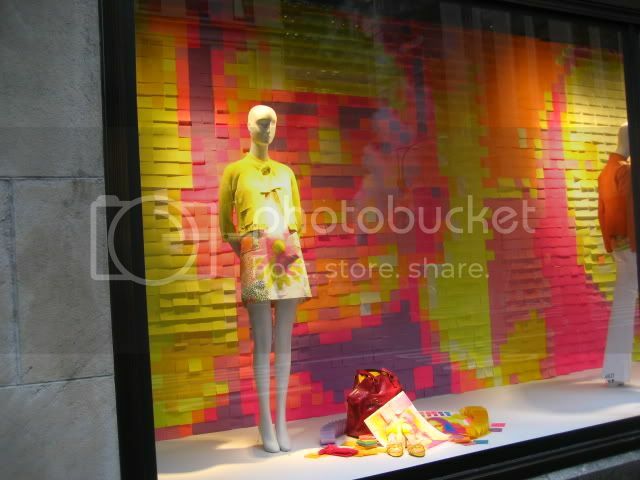 Passing by Bergdorf Goodman yesterday, I was hit by the multitude of coloured post-its. I could have just been inspired by the juicy colours alone and also the fact that post-its even come in such a variety of colours (I’m old fashioned…. I stick to yellow and yellow alone…). But then take a step back, and of course the post-its take the shape of very famous people insteed (I just about managed to recognise all of them and congratulated myself for not being a complete numpty….). To be honest, the clothes on the dummies aren’t inspiring but I really must look into the possiblity of creating a fabric post-it note dress which immediately sprung to mind after walking past this display. those are amazing…will have to take a look when I’m in town tomorrow. will I see you around the tents? I recognize all of them too, but who is the third one? They don’t mess around at Bergdorf’s when they do window displays. What a cool post, thank you! unfortunately, my entire life is orgainzed on post-its… and i’m thinking of taking a language course based on them too. really… its nice to see other inspired by these little square things. The Post-Its all together look like one of those colourful LCD screens you get for video games. ..
No wonder I can’t find any of the helpful notes I’ve written to myself. oo nice, i like the mona lisa. yes, the rodarte show was quite something wasnt it? i got a glimpse of it this morning before going to school and i was just dying to look through it properly all day. I took me a while to realize that the post its actually made images. It’s a really cool display, must of taken a while and a half. I really like the use of a normal, even mundane item and turning it into a work of art and something completely unexpected. They are pretty amazing windows. I saw them about 2 months ago in NYC. 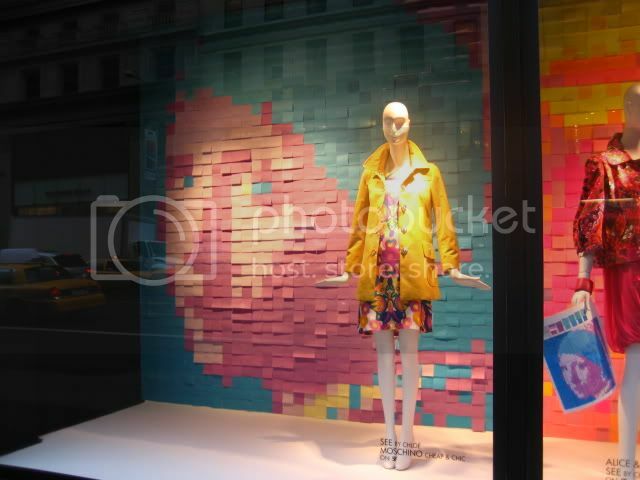 I walked by that last week quickly and thought of Apartment Therapy’s post-it posts…but I didn’t realize they were actually strategically placed! 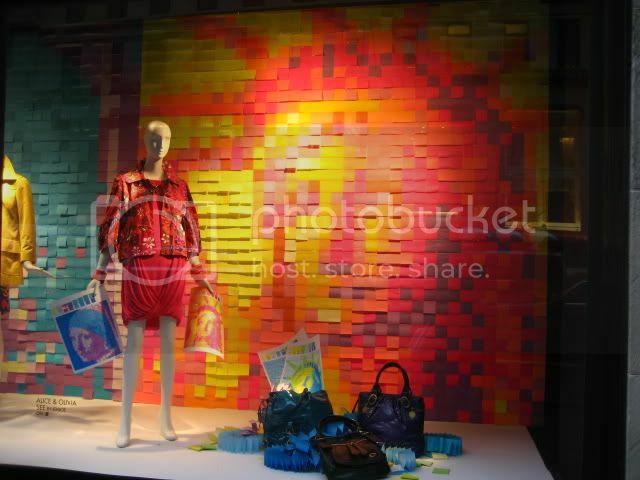 I love the creativity of some window displays. This idea is really original and definitely striking! Wow, beautiful windows – and a really clever take on pixel art. What is the third image of? I’m glad I’m not the only one with the obsession. I shot them a few weeks ago when they first went up. 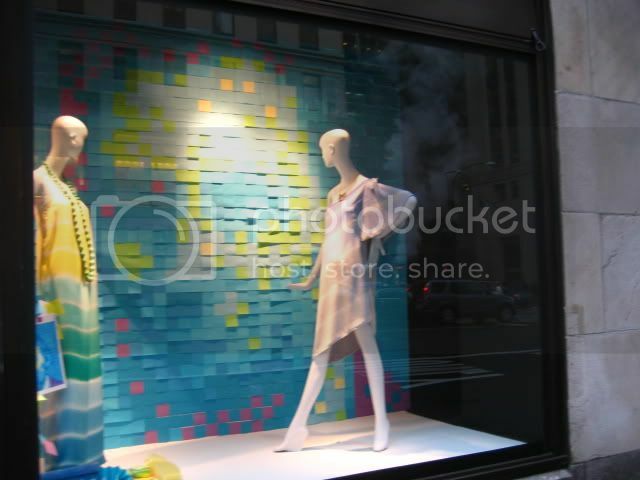 Heck, my entire blog is dedicated to my obsession for store windows. 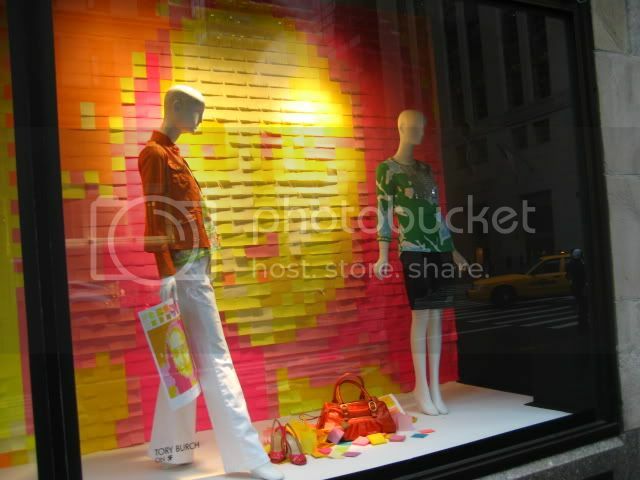 Bergdorfs always has the most creative and the best. I don’t know how they do it weekly, it’s seriously amazing. This reminds me of some of the art displays you see inside the downtown Anthropologie. 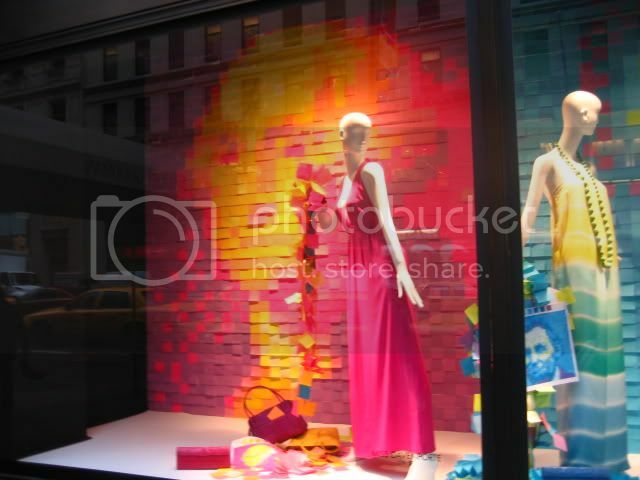 They often have really impressive, abstract work there, which is so unexpected for a chain store. Very clever windows! There is something obsessive about using a material such as post-it notes. Similar to other types of insurance, an auto repair insurance policy is a contract between a vehicle owner and the car insurance company which puts the responsibility of repair bill payment.